SKU: SOL2028. Category: Essential Fatty Acid Complexes. 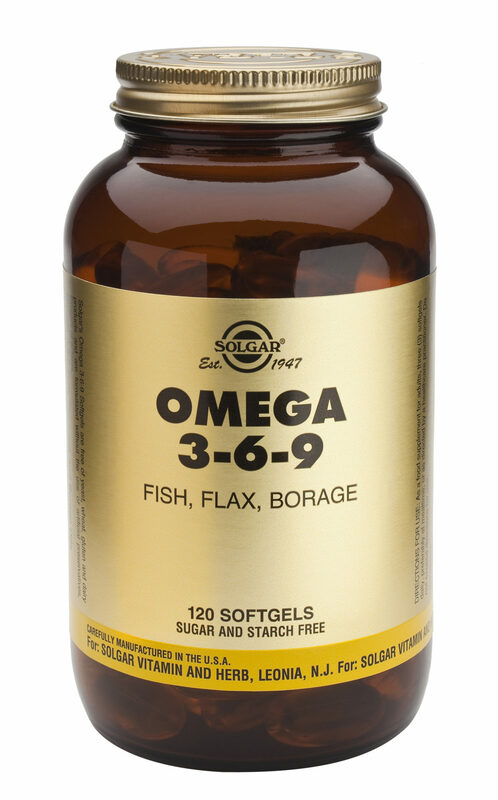 Omega 3-6-9 Softgels, a blend of high quality oils from fish, flax and borage providing a comprehensive fatty acid profile in a product to compliment the existing essential fatty acids range. 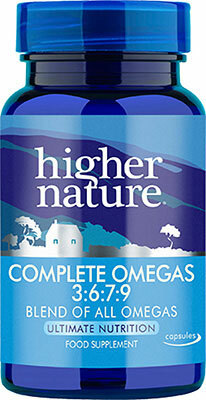 Essential fats such as those found in fish, flax and borage oil are required for many physiological functions including the generation of the electrical impulses that stimulate the heart, the transportation of cholesterol, supporting the immune system, providing structural components for the brain and nervous system, controlling hormone balance and ensuring good cell membrane integrity. As a food supplement for adults, three (3) softgels daily, preferably at mealtime, or as directed by a healthcare practitioner. 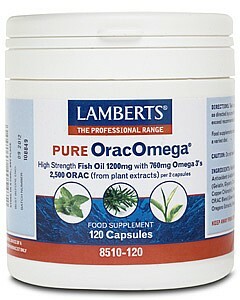 Three (3) softgels provide: Fish Oil (from anchovy, mackerel and sardines) 1300mg, Flaxseed Oil 1300mg, Borage Oil 1300mg, Providing: Omega-3 Fatty Acids (Alpha-Linolenic Acid 585mg, Eicosapentaenoic Acid (EPA) 344mg, Docosahexaenoic Acid (DHA) 221mg), Omega-6 Fatty Acids (Linoleic Acid 598mg, Gamma-Linolenic Acid 247mg), Omega-9 Fatty Acids (Oleic Acid 325mg), Antioxidant: mixed tocopherols. Not to be used alongside Heparin, Warfarin or any other anti-hypertensive medications.